On January 25 and 26, U2 were present filming on a barge in the Hudson River with the Statue of Liberty in the background. The band filmed a number of pieces while on the barge. This included the performance of “Get Out of Your Own Way” which was used for their appearance on the Grammy Awards on January 28, as well as footage of “American Soul” which would be used in two ways. The first footage of “American Soul” seen was used to promote the March Madness event for the NCAA, and the video filmed show U2 on the barge performing “American Soul” mixed with scenes from basketball games, and of the crowd. The screen on the barge is shown with footage from basketball as well, and it ends with an empty shot of the barge with an add for the tournament. The entire video is 30 seconds in length. The commercial was posted to Facebook on February 16, 2018, Twitter on February 17, YouTube on February 21 and the NCAA site on February 22. The video on all three platforms was the same. 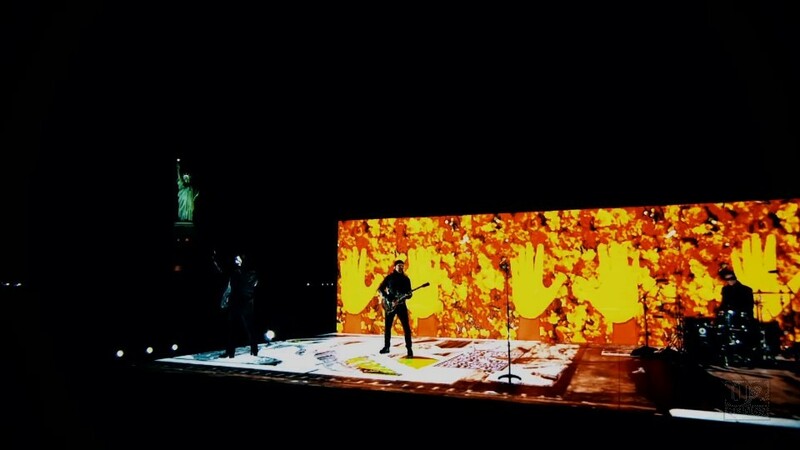 On March 22, 2018, U2 released a full length video for “American Soul” which follows up on the previously released lyric video for the song. The lyric video had been released on November 20, 2017. That lyric video was made in a week by the Israeli artist collective Broken Fingaz. It was the first of many collaborations with Broken Fingaz, which includes the animated footage used in this full length video for “American Soul” as well. 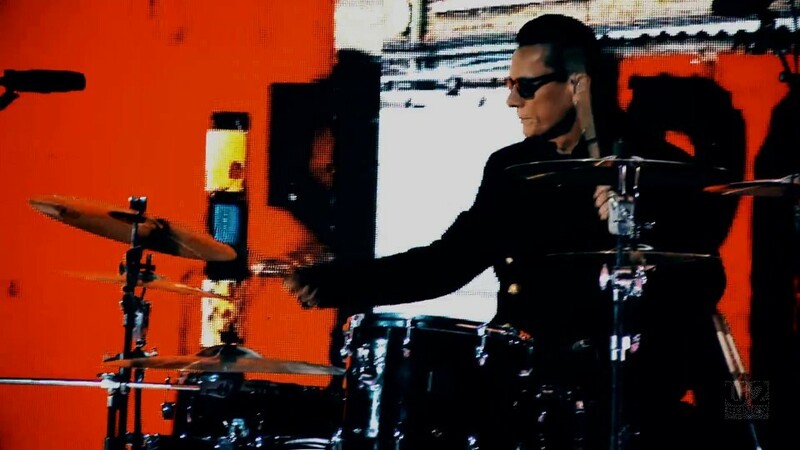 The collective also were responsible for graphics backing U2 on Saturday Night Live on December 4, 2017, as well as the full length version of the video for “Get Out Of Your Own Way“ released on January 18, 2018. 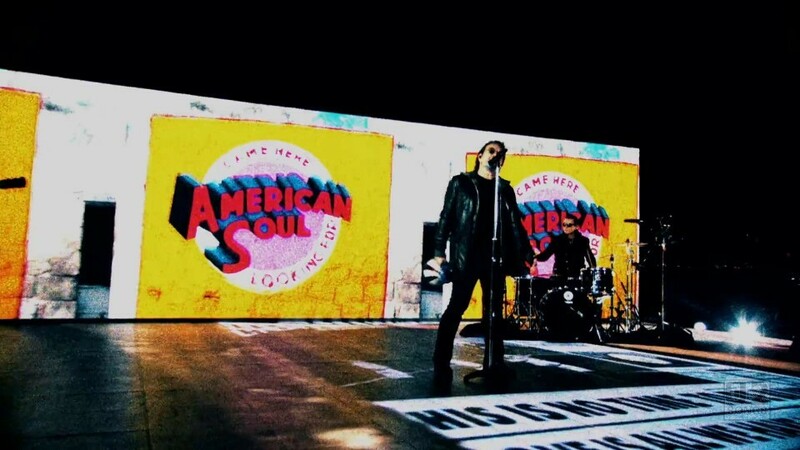 This new full length version of “American Soul” uses graphics taken from the Saturday Night Live performance of the song which were displayed behind the band during that performance. 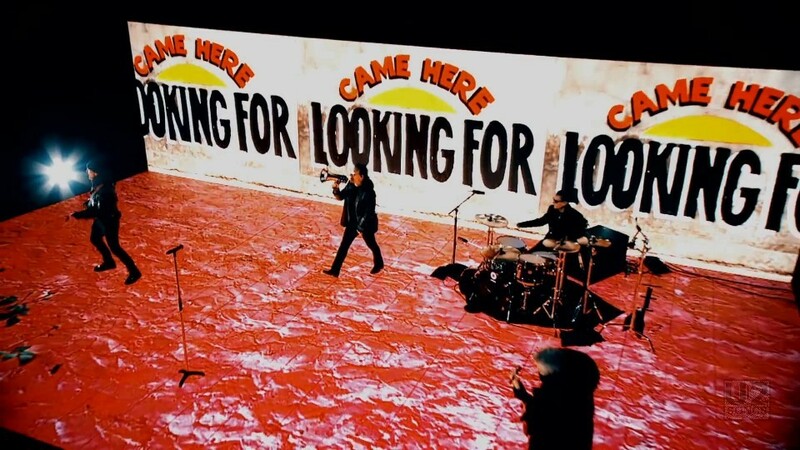 In the new video, they are shown both direct on the screen, as well as on the backing screen on the barge in the harbour. The footage for Saturday Night Live also used elements of the lyric video produced by Broken Fingaz. The song used in this version of the video is different than the version on the album. It is edited so Kendrick Lamar’s lyrics at the end of “Get Out Of Your Own Way” are now part of the introduction to this song. Some additional vocals taken from the performance in New York’s Hudson River are also mixed into the song. The full video is 04:47 in length. The VEVO release of the video was subtitled, “American Soul (New York)”. A couple of fun things to watch for in the video (which you may be able to see below in the screen grabs? 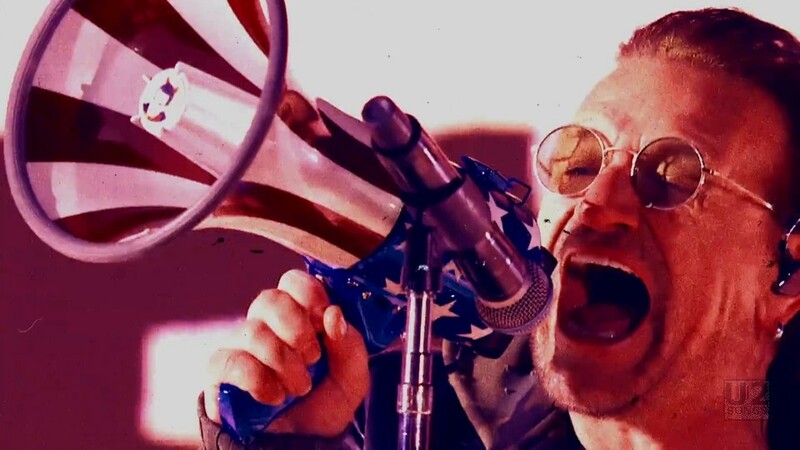 That megaphone Bono is using has a small Macphisto picture in the center. 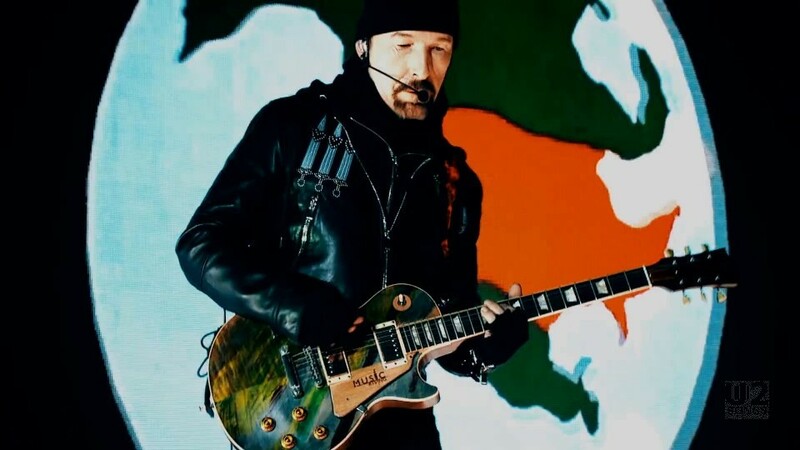 The Edge is using a guitar with the “Music Rising” logo. And that’s an animated Kendrick Lamar who guests on the track in the opening moments. Includes graphics by Broken Fingaz.